If humans are going to keep living in the style to which we're accustomed, we need to find alternatives for fossil fuels. Partly that's because we need to reduce pollution — and partly because those fossil fuels are going to run out. But alternative forms of energy may look a lot weirder than you think. Most people have heard about turning corn into biofuel. But corn is actually a terrible biofuel source for a number of reasons, which is why many scientists are looking to other plants for future fuel — including tobacco. Genetically modified tobacco, that is. The main building blocks for biofuel in plants are starch and sugar, so naturally, increasing the amount of starches and sugars in a plant will improve fuel production. An agricultural engineer recently found that she could tweak a gene in tobacco to boost starch production by 700%, which translated to an increased sugar yield (a step in biofuel production) of 500%. As a bonus, this technique could be used on food crops to increase starch and sugar production. Current battery technology relies on toxic metals, which are difficult to mine, have limited lifespans, and create recycling and disposal issues. Sugar, on the other hand, has none of those problems. Recently, a group of bioengineers built a prototype of an "enzymatic fuel cell" that imitates the behavior of biological systems (like plants) that convert glucose to energy. The resulting battery creates more energy than a lithium-ion battery, is biodegradable, and refillable. This plant produces oil-rich seeds which are excellent for biodiesel, and it is able to thrive in dry, sandy lands that aren't good for food production. That means the plant could be grown in areas that aren't required for food crops. Unfortunately, the plant's seeds don't thrive as easily as the plants do in poor soil. Now, scientists are working on ways to genetically modify this crop in a number of ways make it more suitable for biodiesel production. The result could be a hardy crop that can live almost anywhere, and produce incredible amounts of fuel. Unlike Jatropha curcas, which is a plant that might one day be a source of fuel, microalgae are pretty much fuel-ready. They grow in the ocean, and thus don't compete with food crops. Plus, they produce more starch and sugar than the blue-green algae known as cyanobacteria, which are also being explored as a source of alternative energy. The problem? It's hard to get a giant crop of microalgae. Currently, researchers are looking at ways to genetically modify this microalgae to make it a more robust fuel source. If that isn't futuristic enough for you, researchers are also integrating genetic "circuits" into bacteria and algae in order to produce biofuels from photosynthesis. Essentially, they'd add new molecular machinery to bacteria and algae that don't already have them. There are even proposals to engineer the actual light-absorbing antennae in these organisms to increase efficiency and biofuel output. This would mean genetically altering the systems that these microorganisms use to absorb light — we wouldn't actually be adding tiny metal antennae to them, though that would be cool. Conversion of plant material to fuel isn't always efficient, especially because that plant material is often waste left over from forestry and agriculture. However, biologist Na Wei and colleagues have discovered that they can genetically modify a form of yeast to digest the tough, fibrous xylose in plants. Normally this part of the plant goes unused, as it creates a toxic, acidic environment for the microbes that would normally break it down into those much-needed sugars. But the enhanced yeast are able to digest xylose into the chemical components that could make biofuel. This super-yeast could help us convert plant waste into valuable energy. Switchgrass is a controversial biofuel crop. It is fast growing, produces a lot of material for fuel production, but is also invasive, taking over new lands where it is introduced. Still, it might one day prove very useful — especially if we add a few extremely useful genes to its repertoire. A group of biologists found that by genetically modifying switchgrass with a gene from corn, they could boost the amount of starch and digestibility of the switchgrass (making it easier and more productive to convert to fuel), and completely shut down the flowering of the plant, potentially preventing invasion. Researchers at Caltech and Lawrence Berkeley National Lab are researching what they call "artificial photosynthesis." Their goal is to produce a synthetic version of the molecular machinery that plants use to make energy from light and water. The result would be something that looks like a solar panel inside a plastic chassis — it's made of thin membrane sheets comprised of semiconductor materials. By pumping water through the device, and bombarding it with light, we could produce liquid hydrogen or hydrocarbons. This solves the typical problem with solar energy, which is storage. Because this solar fuel would be liquid, we could use our current fuel storage infrastructure to hold and distribute it the same way we do with oil and gas. These are often called redox flow batteries, and they are intended for use in cars and other transit vehicles. Basically they are batteries that can be recharged forever because their energy is stored in the electrolyte solution rather than in the electrodes like in a Li-ion battery. Just exchange the electrolyte solution to recharge. You can see a simple schematic for one type of redox flow battery above. These are more like fuel cells than batteries, but they run on reversible electrochemical reactions rather than consuming fuel. Yep, we're going to use poop. Conventional sources of biodiesels like vegetable oils must be grown and processed before they can be used, which makes them a more expensive source than sewage waste. "Sludge" is the mass of semi-solids that is separated out from water as part of the sewage treatment process. It can be used to create biofuels using a couple of different methods. One of the most popular is sludge gasification, where the sludge is dried and heated to produce a synthetic gas that can be burned. However, scientists in South Korea have created a process that heats the lipids inside the sludge to render them into biodiesel. Sludge was heated in a reactor along with methanol and carbon dioxide to convert 98% of the sludge lipids into biodiesel. This new process could lead to cheaper biodiesel due to the huge amounts of sludge processed by wastewater treatment plants, but it would require these facilities to retrofit existing structures to accommodate the biofuel production process on site. In related poop fuel news, we can also turn used diapers into fuel as well. Urine-powered fuel cells are actually a type of microbial fuel cell technology, where we harvest the energy released by microorganisms as they break down their food. It turns out that human pee is a terrific source of food for those microorganism. Urine-fed microbial fuel cells are currently being developed as a potential energy source for everything from personal electronics to self-sufficient robots. In the future, it could be a way to help process the huge amounts of waste humans produce each year. Plus, it gives a new meaning to those urine-processing still suits that the Fremen wear in Dune. Hydrothermal carbonization (HTC) is a process where biomass — anything from plant materials to garbage — is mixed with water and exposed to heat and pressure in a reactor. The resulting slurry is then pressed and dried to create hydrochar. When no water is used, the results are called biochar. Both are coal-like products that can be burned for energy or further processed to produce synthetic gas. The potential behind hydrochar is that it uses wet biomass. Biomass feedstocks that must be dried before they are burned or processed take extra energy to produce, but the hope is that hydrothermal carbonization can be used to take advantage of biomass waste without needing prep work. The European Union launched its "NEWAPP" project December 2013 and will run for 30 months with eight partners from four EU countries. Its goal is to study wet biomass waste streams and identify potential HTC applications. Large-scale satellites carrying lightweight solar panels may soon be launched into space. This would allow us to overcome the effects of the atmosphere on how much sunlight that solar panels can actually absorb. Basically, in space, we'd have access to raw, naked solar energy. 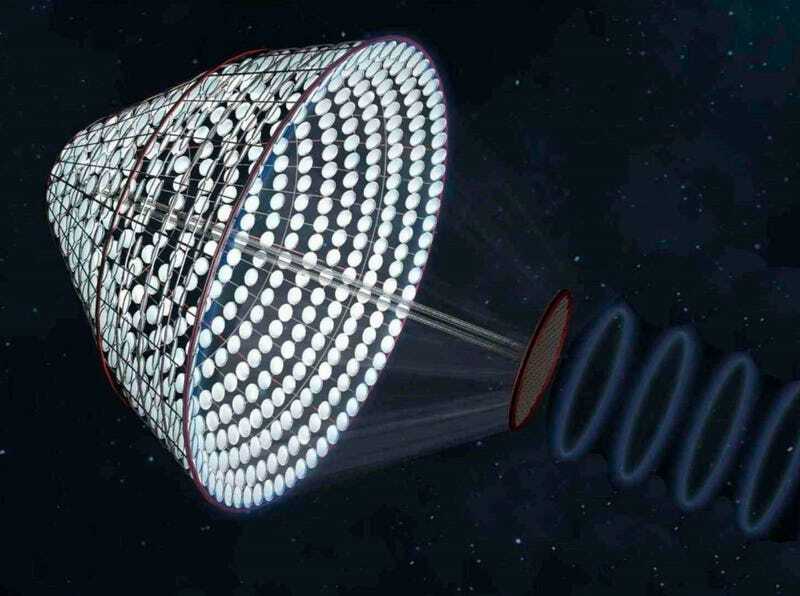 The generated electricity could be beamed to earth with a microwave transmitter. Perhaps it's not surprising that chemists from Louisiana came up with the idea of using alligator fat as a source of biodiesel. Alligator fat has a very high lipid content, which means it's ideal for conversion to biodiesel. Plus, the alligator meat industry produces a ton of the fat as waste, so this would be a way to use a product that is currently being thrown away. Other kinds of fats could be used in a similar way.